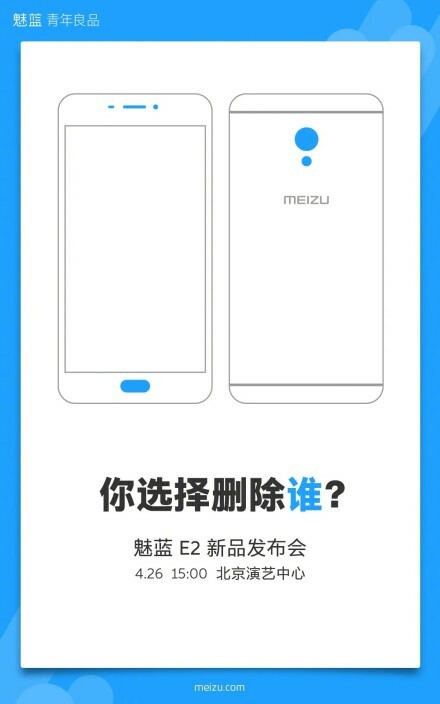 Meizu E2 will be announced on April 26th this month - Playfuldroid! Its now confirmed! Meizu has begun sending out press invites for their upcoming Meizu E2 launch event which will be held on April 26th this month. Although there still isn’t much information on its specs, but design-wise, the company’s VP Li Nan has claimed that the device will be featuring a brand-new design philosophy by the company’s design team and will no longer look anything similar to those in the current M series. It seems like the company has finally took action after all the commotions and complains around Chinese Weibo about the company’s lack of creativity in their design.